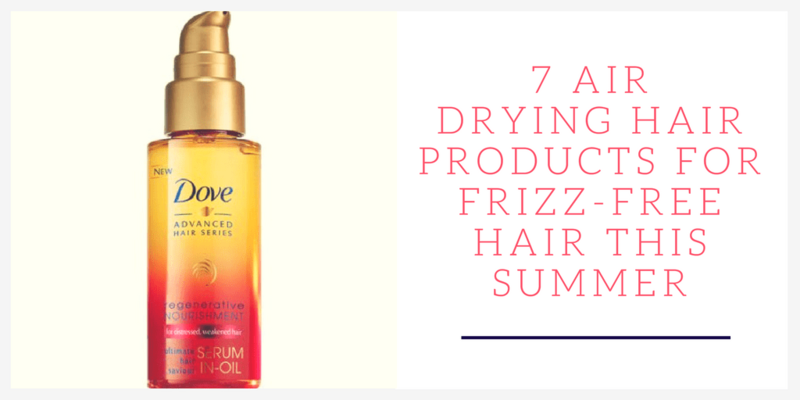 Are you curious which air drying hair products actually work to give you frizz-free hair this summer? 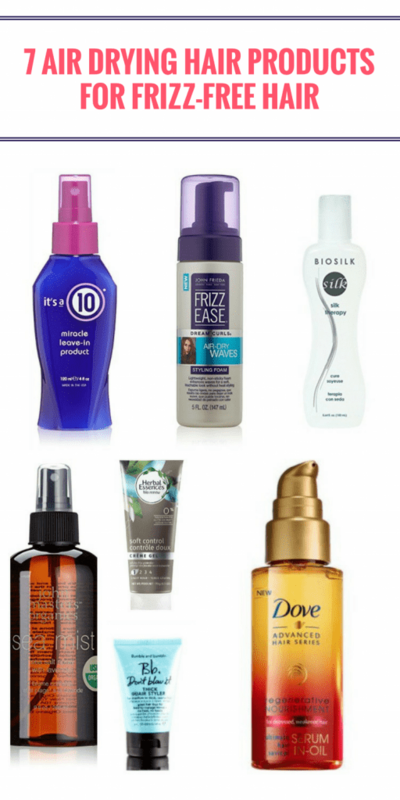 Read on for 7 products you’ll love. Air dried hair is all the rage right now. Bringing out natural hair has been seen on runways constantly this spring and summer, and for good reason. Summertime can be a nightmare for hair styling, especially if you live in a state that has 100% humidity almost all the time (me). Curling, straightening, or blow drying rarely lasts long in the summer heat and can make hair damage and frizz from the heat a lot worse. In times like these, air drying is the only solution. So how can you get frizz-free and gorgeous hair without heat styling? These products can help. Sea salt is used in many hair products to create effortless, soft waves. To use this sea salt spray, just spray it throughout your roots after washing your hair and wrap it in a towel. After, scrunch the ends, and you’ll have gorgeous, frizz-free waves! This lightweight, easy to use cream from Bumble and Bumble easily transforms hair from frizzy to soft and has a light fresh scent. Just towel dry your hair and scrunch the cream in for lightweight, pretty waves. Because I have dyed hair, I’ve used this stuff for years and am amazed every single time. This leave-in conditioner is perfect for normal to fine hair. It smooths out frizz, adds shine, and even protects colored treated hair from the heat. You’ll be left with soft, pretty, protected hair! This product is actually a foam that is great for controlling natural waves and curls, and bringing out hair’s natural texture without weighing it down or leaving it sticky, like most mousses and foams. Great for naturally curly or wavy hair. It even has air-drying in the name! This serum is a lifesaver for fine, frizzy hair. It controls split ends and frizz without weighing hair down or leaving it oily and greasy. It also gives hair a boost of moisture and leaves hair stronger! The best part: it’s only $5. This lightweight hair gel has no alcohol, parabens, gluten, or colorant. It lightly holds style, moisturizes hair and protects against humidity. Bonus: it has a light fruity scent! This oil is perfect for medium to thick hair. It tames frizz, strengthens hair with vitamin B, E, and proteins, and leaves hair soft, silky, and smelling absolutely wonderful. These air drying hair products should prepare your hair for the summer heat (or humidity) and leave it gorgeous long after! And be sure to read this post on no-heat hairstyles for some great ideas. I get a lot of dandruff from using chemicals or hair products. Do you know how good these are against that? I’m not sure how good these products are against that. Sorry! I love using the Living Proof in-shower styler. You use it in the shower before finishing up and then let your hair dry! Oooh, I need to check that out! I really like the Living Proof products I’ve tried. Love hearing about new products for my frizzy hair. Thanks for sharing. !